The Bosch Automatic Optical Level is designed to make precise measurements in difficult outdoor job-site conditions. With a large aperture and up to 32x magnification, its lens allows more light for a sharper and excellent image enhancement. This survey tool has an accuracy of 1/16-inch at 100 feet and a range of up to 330 feet providing high precision results in long distances. This Bosch automatic level features a magnetic-dampened compensator that swiftly settles the system and minimizes the effects of job site vibration. The horizontal/vertical crosshairs and stadia lines can precisely measure level, alignment, and estimates distances. 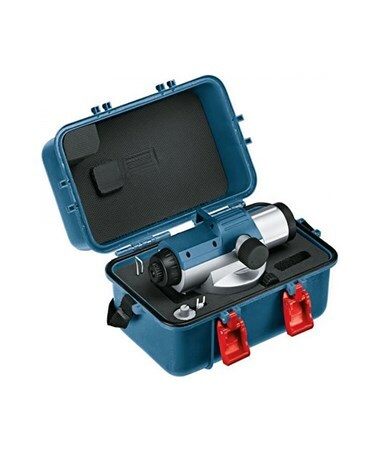 This surveying instrument includes a self-leveling compensator with a transport lock that protects the pendulum against damage and loss of vibration. 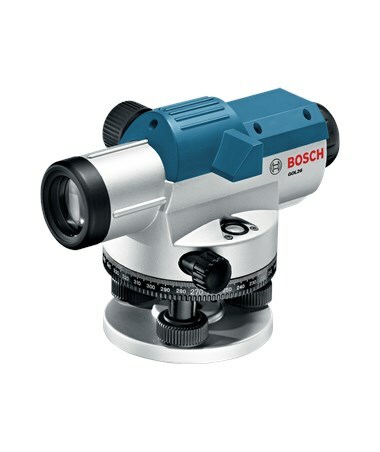 The Bosch Automatic Optical Level also comes with horizontal circle graduations that help surveying professionals achieve accurate measurements. For easy and fast setup, this Bosh optical level comes with a circular bubble vial with a 90-degree mirror. The solid metal base with three precision leveling screws gives stability in all types of job site conditions for precision leveling. With an IP54 environmental rating, it is dustproof and water resistant. In addition, it has a 5/8-11 thread for mounting onto standard tripods. 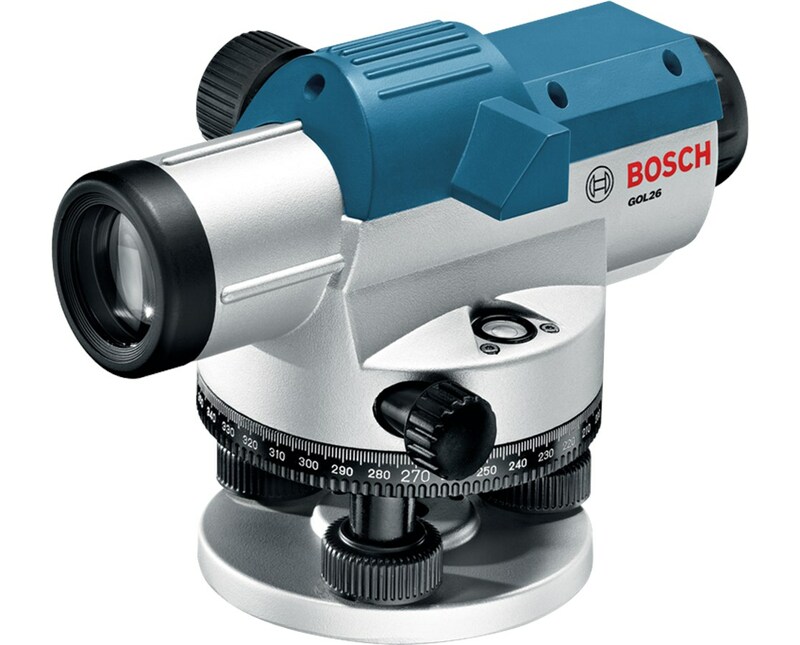 The Bosch Automatic Optical Level is available in two magnification options. Please select your preference from the menu above.